Montana has become a moving target for massive multi-species slaughterhouses that are highly detrimental to the environment and Montanan's quality of life. A Canadian company wants to build a facility in Great Falls that would slaughter 500,000 cows, 3 million pigs and 30 million chickens a year, while using 3.5 million gallons of water and producing 103,000 lbs of solid waste DAILY. There is also a large multi-species slaughterhouse that has been proposed on the Blackfeet Indian Reservation that is home to the 17,321-member Blackfeet Nation- one of the 10 largest tribes in the United States. Once these facilities take root, they historically ripple outwards with more in surrounding counties. These facilities are one of the leading causes of climate change, contaminate local waters and land, pollute the air and lack supportive job opportunities due to incredibly low wages and dangerous working conditions with a high emotional toll that historically exploits minorities and low income families. 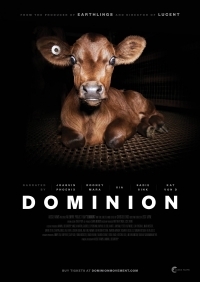 THE FILM WILL BE FOLLOWED BY A PANEL DISCUSSION concerning the conditions and environmental implications of industrial slaughterhouses. and UMA GRAHAM- Community Plant-Based Ambassador, who will discuss the intersectionality of slaughterhouses and approachable solutions. Thank you to our Sponsors: Climate Save Missoula, Montana Animal Save, Absaroka Realty, Plant Perks, Aussie Farms and Vegfund.